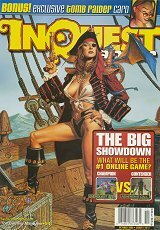 Interview with Wendy and Richard Pini (WaRP Graphics) in which minor mention is made of D'Arc Tangent and Myth Adventures. 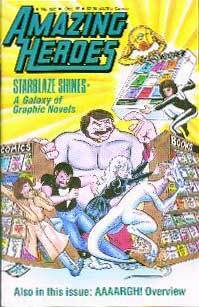 There are two frames from Myth Adventures which, while they match the plotting of Phil's rendition, do not appear to be Phil's work and are credited only as being copyright Robert Asprin. 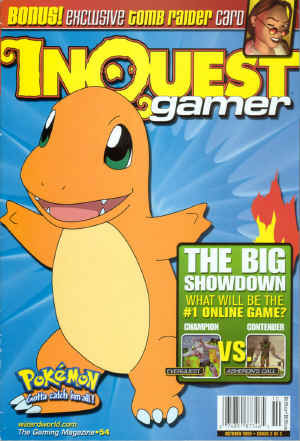 Cover with Buck Godot and other characters, plus an interview with Phil inside as part of the Starblaze Graphics story. 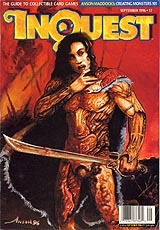 P2: Ad for "Demon" T-Shirt by PF, as sold by Asylum Press. P6-11: Interview by Toivo Rovainen, interspersed with reprinted Art. 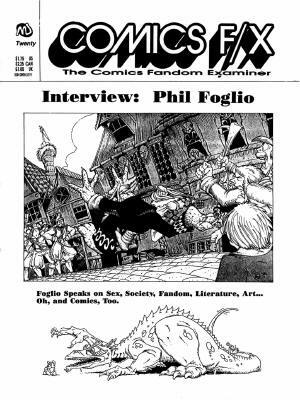 P7-18: Interview with PF about Myth Adventure and other projects..
P14: Two page interview with Phil. P82: Review of the XXXenophile Card Game. No art. P8: About our Contributors gives a potted history of the great man. P4: About our Contributors gives a highly suspect artist history of Claymore J. Flapdoodle..
Interview taken by Gérard Morvan. Note, this is a "naughty" site. Only visit here if you're allowed to! PF also drew the main logo for the web site. This is a transcript of an Internet Chat session with PF. P13-17: Interview with PF, including draft drawings of Magic Cards. 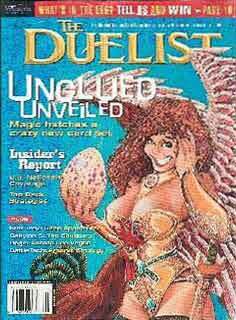 P18-25: Interview with Kaja Foglio, including draft drawings of Magic Cards. "Eisner Award nominated artists Phil and Kaja Foglio are guests on this week’s “Slice of SciFi”, giving us a run down on Girl Genius, a madcap, mad science romantic adventure comic with airships, and other projects they’re working on." Kurt Wilken discusses Girl Genius going online. P11-12: Interview with PF by James A. Moore. "Brandon, Dan, and Howard are joined by Phil and Kaja Foglio, and we discuss writing for webcomics… no, wait… writing for “sequential picture-assisted storytelling."